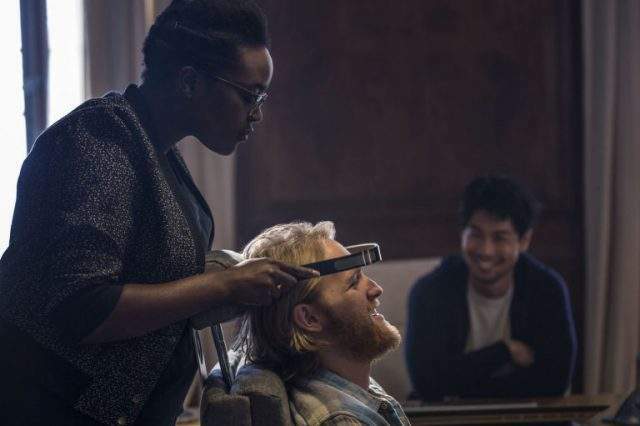 With a rating of 100% on Rotten Tomatoes and 8.9 out of 10 on IMDB, Charlie Brooker’s sci-fi anthology series Black Mirror undoubtedly deserves its word-of-mouth cult hit reputation. It has eerily predicted and inspired a number of developments in technology, but its biggest selling points are the way it relates to our current state of technology and its social and ethical implications. In just a decade, we’ve come so far in terms of technological advancement. 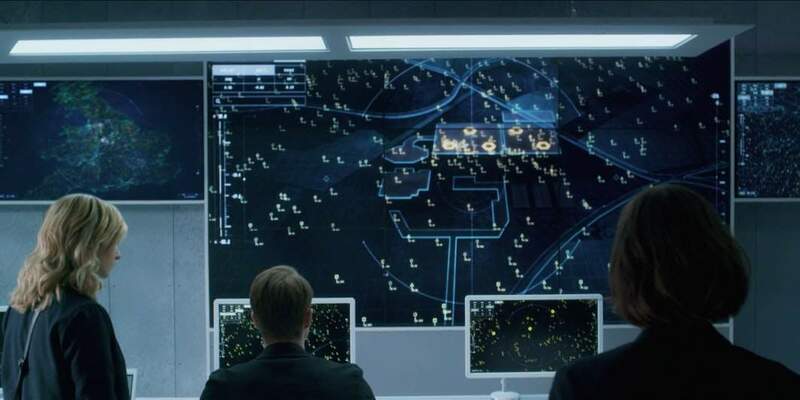 It’s only a matter of time before the technologies portrayed in the show indeed become a normal part of life and the situations involved in the show to become fully realized. Here are some of them. Bee drones were introduced as a major component to the plot in “Hated in the Nation,” the longest episode in the series. They were used as mechanical bee replacements and artificial pollinators in a world where bees finally became extinct. What started out as a successful invention meant to help the ecosystem survive became the villains in the story when they were hacked and they ended up targeting online victims of the #DeathTo hashtag. Spoiler alert: it was later revealed that the artificial bees were actually capable of facial recognition, and the government and police used them for citizen surveillance. Any unfortunate prey of online hate would soon meet their doom as a swarm of tiny drones would fly up their nose and short circuit their brain – causing the targeted humans unimaginable pain that they end up slitting their own throats just to end their suffering. What’s scary is that a drastic event like this can actually happen not far from the future. With the population levels of more than 700 bee species declining due to parasites, habitat loss, and pesticide use, researchers are actively developing a solution for the foreseeable bee-less future: by creating bee drones (yes, that’s right, just like the ones that easily and brutally killed those online hate victims). An enterprising student from Savannah College of Art and Design has created a smart bee drone the size of the human hand that can pollinate crops and flowers, and researchers over at Japan are also looking to replace bees with tiny drones that are coated with sticky gel and natural hairs that can pick up and deposit pollen between flowers. 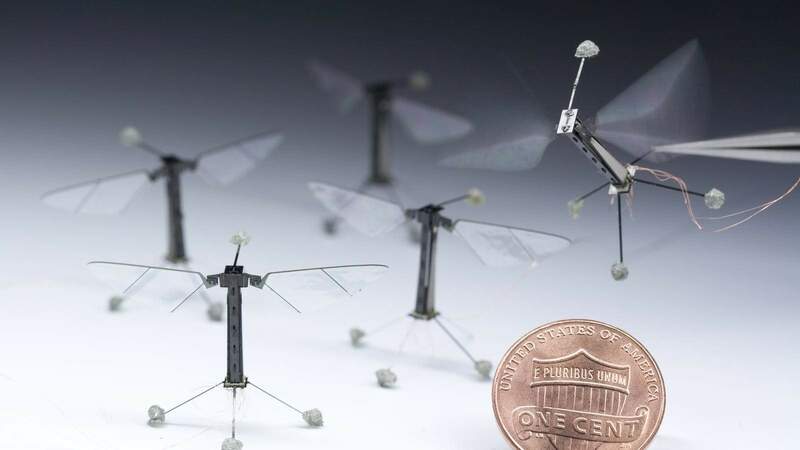 Although both developments are impressive, the closest to actually being viable for pollination and other various uses are the flying microrobots developed by researchers at Harvard’s Wyss Institute. The flying microrobots called Robobees are inspired by the biology of a bee and can potentially be used in crop pollination, search and rescue missions, and surveillance. It weighs less than one-tenth of a gram, can flap their wings at 120 times per second, and can achieve vertical takeoff, hovering, and steering. 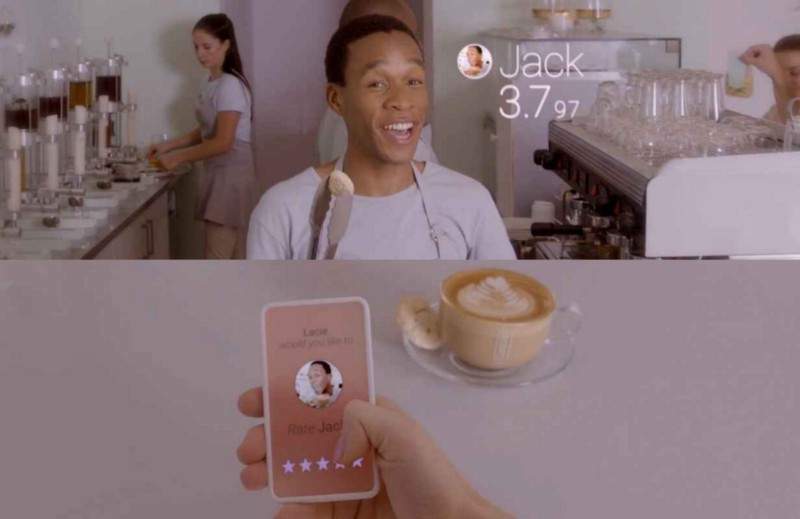 In season three’s first episode titled “Nosedive,” Black Mirror satirically tackles society’s obsession with social media status and constant validation. The main character, Lacie, exceptionally portrayed by Bryan Dallas Howard, lives in a version of America where people are equipped with augmented reality contact lenses that sync with an app. The app allows them to rank one another, and the lenses allow them to see each other’s ranking. In a world where your ranking in society is based on how well you interact with others, how likable you are as a person, and how well your life is going, the main character gets called out by her brother as “fake” as she tries too hard to adhere to society’s standards. She “perfects” her happy faces in the mirror, composes carefully curated and adorable photos for her timeline, and insincerely does good deeds any chance she gets just so she could boost her ratings. This pressure to be even more ”likable” intensifies when the protagonist tries to buy a home in an elite neighborhood and the real estate agent tells her there’s a discount for people with a higher rating than she has. She tries to reconnect with her childhood friend with a high rating, and the latter invites her to be a bridesmaid in her wedding – which she sees as an opportunity to boost her rankings, as she knows high-ranking visitors will be there as well. Her life and ranking takes a downward spiral as a series of unfortunate events take place on her way to her friend’s wedding – her brother gives her a one-star rating after they get into an argument about her being fake, the taxi driver gives her a low rating well for making him wait, and she couldn’t get into the plane because her ranking has become too low than what is required for passengers. The show does a good portrayal of how image-obsessed society is today and how far people would go just to receive more interaction and affection or to get more likes for their photos. With similar technology being developed, a social-merit based world might just become a thing of the near future. 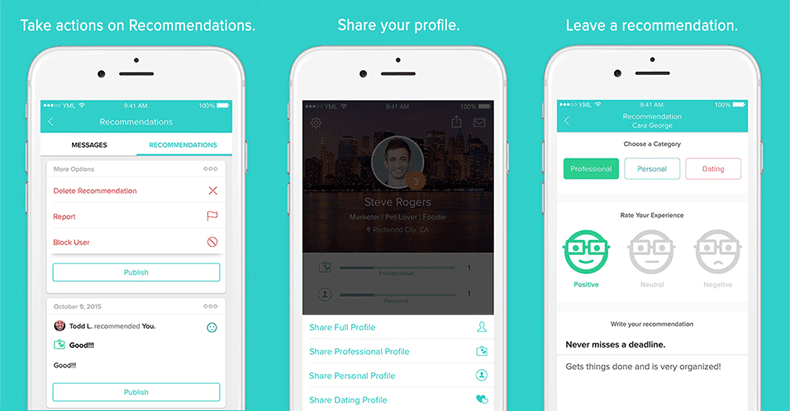 Months before the episode first aired, a mobile app called Peeple that allows people to leave recommendations for other people based on professional, personal, and romantic relationships was released. Peeple aka “Yelp for humans” caused a global media storm and received widespread criticism over concerns of cyberbullying and harassment almost immediately after its release. The app’s aim is to allow people to manage their online reputation and to form useful business networks and meaningful relationships, but critics see it as invasive, objectifying, reductive, and can cause distress and anxiety to a slightly self-conscious person, especially as the app was initially released as an open-for-all version, meaning anyone can rate you whether you like it or not. 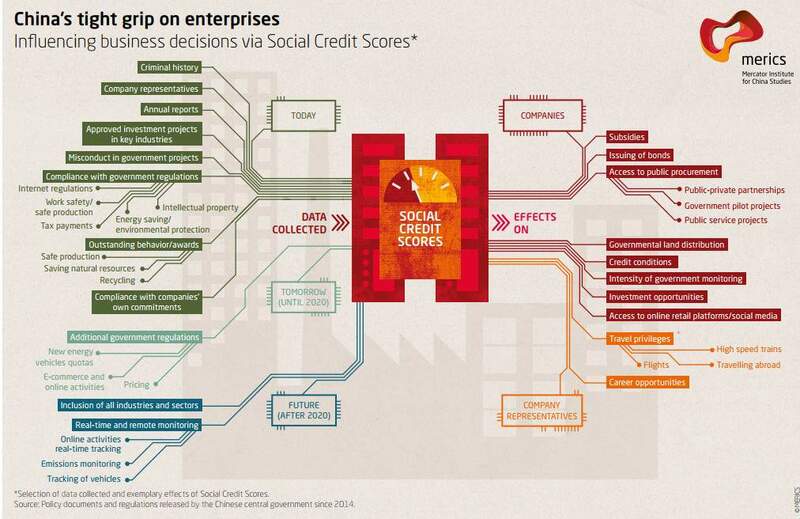 Another example that sounds eerily similar to the social merit system in Nosedive is the social credit system China is planning to impose on its citizens. The government plans to partner with e-commerce giants such as Alibaba to pull various data from its citizens such as their buying history and criminal history and use those to determine their social credit scores or Sesame Credit. Citizens with high ratings and good behavior history will receive benefits and access privileges such as getting to book a hotel without a downpayment or faster approval of loan applications. Conversely, citizens with poor scores or who have committed wrongdoings such as traffic violations or late bill payments will be denied access from certain things and result in penalties on career progression or be punished with travel restrictions. The problem with rating apps and systems like this is that there are no way ratings could actually reflect a person in question. There will always be personality and subjectivity issues that will get in the way of a purely objective rating, and the way an online crowd sees you do not exactly define who you really are in person. Fortunately, today’s society is woke enough to fight against the looming threat of companies constantly trying to push rating systems to define their citizens and enforce social rankings. Let’s just hope it will stay that way forever. Playtest, the third episode of the first season since the franchise has been acquired by Netflix, tackles the horrors of corporate bio-experimentation, our lifestyle obsession with digital screens, the hyperrealistic capabilities of AR in the future, and the future of implants doing things to our bodies that we can’t control. It stars Wyatt Russell as Cooper, a happy-go-lucky American who goes backpacking as he struggles with his father’s death and his relationship with his mother. When he runs out of funds in the UK, he signs up for a quick-earning gig as a playtester for SaitoGemu, a famous Japanese horror-publisher working on a mysterious new system. The mysterious new system turns out to be a miniature device called a “mushroom.” It is implanted into the back of a person’s neck and functions as an augmented reality device that layers lifelike images and sounds into the wearer’s perception of the world sans wires and bulky specs. The experiment starts with Cooper playing a fun 8-bit whack-a-mole game, but soon, the team transports him to a creepy old house and lets him play a horror game that generates terrors based on the player’s own fears and internal thoughts. Cooper soon finds himself stranded in his own personal nightmare consisting of his biggest fears – a gargantuan spider wearing the face of his high school bully, his fear of losing his memory like his father, and not being able to get out of the torturous game. The episode then ends with a big final twist (spoiler alert): Cooper actually never left the gaming room and the chair where he first played whack-a-mole, and he’s having a seizure. 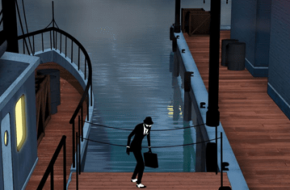 It turns out his mom called him while the game was initializing, causing a malfunction in the game’s initializing sequence and killing him in the process. 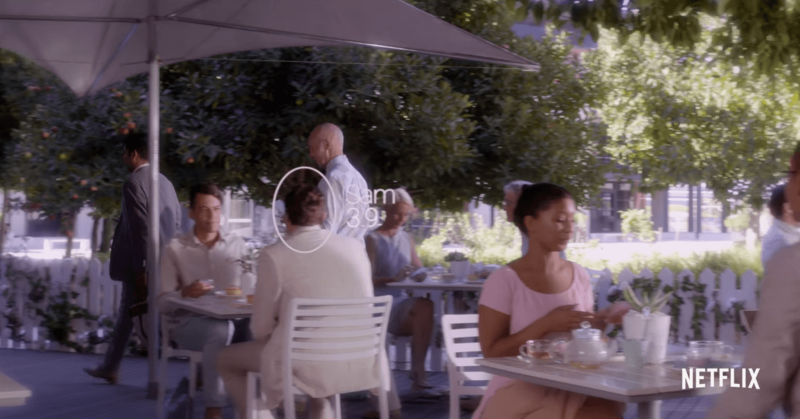 The Verge describes Black Mirror’s “Playtest” episode as something envisioning what is in many ways the ultimate idealization of Virtual and Augmented Reality. Undoubtedly the biggest story in entertainment and technology today, tech giants are actively improving VR and AR so that one day we may not have to mount big specs into our head to see overlaid media in our real world. Microsoft stays ahead of the AR game from its competitors with the HoloLens headset which is released early in 2016. Microsoft has developed a game called Project X-Ray to show off the capabilities of the new system. 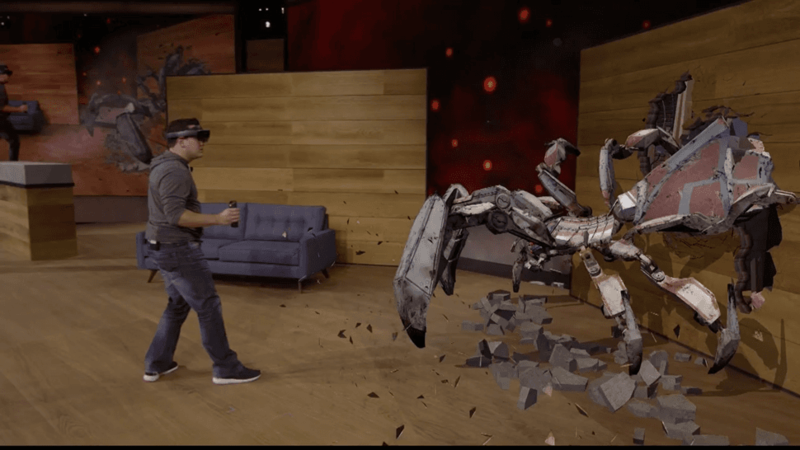 By wearing the HoloLens headset and wearable holograms like a gauntlet arm worn as a weapon, the user is allowed to play battle gaming in any room and shoot at virtual enemies and move around to avoid their attacks. 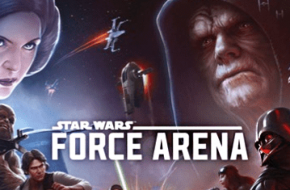 The virtual enemies can recognize walls and furniture and can use them to move around and make specially planned attacks and the user can use voice control to allow for quick access like for weapon changes. Although this development in the field of AR is already impressive, tech giants continue to take the technology one step further by developing a brain interface that would allow us to interact with the augmented reality world using only our brains. Regina Dugan, leader of Facebook’s Building 8 Group, says these devices would one day allow us to control a “brain mouse” that would allow us to type up to 100 words per minute. Omega Ophthalmics, on the other hand, is developing surgically implanted lenses to create a space for augmented reality inside the eye. 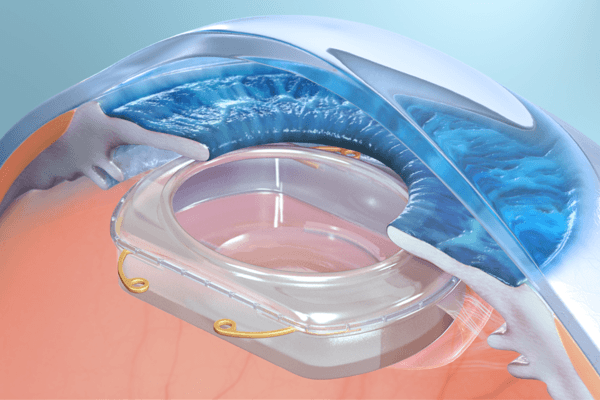 Lens implants like this have been around for awhile and are commonly used as a solution for cataracts and degenerative diseases. Millions of patients in the U.S. have been getting procedures like this for the disease every year, which is why Gary Wortz, co-founder and board-certified ophthalmologist saw an opportunity to offer a platform for other manufacturers to integrate AR/VR to the implants. He says it can be useful to senior citizens who are having a hard time navigating their surroundings by using these AR-integrated surgically implanted lenses to use an augmented map. Elon Musk also joined in on the AI development when he invested in a startup called Neuralink that focuses on developing the capabilities of the brain through technological augmentation. He has talked about a “neural lace” that would be surgically connected to a human brain (like the mushroom attached to Cooper’s neck) and would allow a user to interact with a computer without separate hardware like keyboard and mouse. 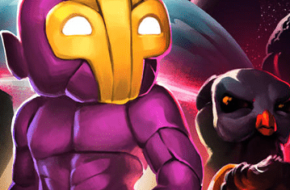 Musk’s neural lace concept, when partnered with Omega Ophthalmics’ surgically implanted lenses, could actually make SaitoGemu’s vision in Playtest come to life in the near future.